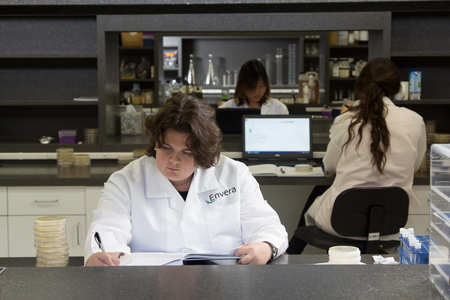 Envera does not market any ready-to-use products directly to an end user. We typically supply concentrations that are used as an essential raw material in a final formulation. With this approach, we do not compete against you, but rather we work as your partner. It is our goal to become your total biological resource, aiding customers in the areas of strain selection, product development, quality assurance, technical service, regulatory, and sales and marketing support. 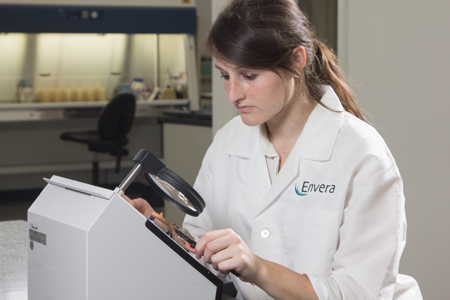 With decades of experience in all facets of industrial microbiology, Envera is a full solutions provider. We meet with our clients, get an in-depth understanding of their needs, and develop microbial-based products specific for their applications. Envera does not have a one solution fits everyone mentality, and understands the advantage of having a product that can be differentiated in your marketplace.